How Do Bloggers Make Money? - CreatingBeautifully.com - start and grow an online business you love! How Do Bloggers Make Money? - CreatingBeautifully.com - start and grow an online business you love! If you’re thinking of starting a blog, or have been blogging for awhile now but you finally want to start making some money with it, you may be wondering: How do bloggers make money? I think a lot of people (outside the blogging world) wonder how people actually make money blogging, in part because there really are so many ways to make money from a blog! So two different bloggers may use the same monetization tactic, but in completely different ways. Plus there are so many different types of blogs, not every blogger will monetize their blog in the same way. So… How do bloggers make money? There are many answers to that question, and some of them may not be listed here. But I’ve found at least 4 ways most bloggers make money. There are programs that are similar, but not quite affiliate programs. For instance, ShopStyle Collective pays you “per click” instead of a fixed percentage of any sales. And apps like PayYourSelfie pays you to post pictures of yourself, as well things like food, travel, etc. on Instagram. Back to affiliate programs (sometimes known as “referral partnerships” too). Pretty much anything you might want to sell or endorse online has a related affiliate program. Okay, that may be a slight exaggeration, sites as varied as retailers like Amazon, Etsy and Target, online business software niches like Thrive Themes, Shopify, and ConvertKit, and thousands more. There are rules to affiliate marketing, so if you want to try it, read this first. A well-rounded blogger (meaning they also have a large social media following and many email list subscribers) will also promote their sponsors on other platforms, like Instagram, Facebook, Pinterest, etc. Or via their email newsletter. The higher followings you have on those types of accounts, as well as your traffic to your website, the more you can ask to be paid for the sponsorship. Selling ad space on your website is highly debated by bloggers. Some love it. Some hate it. 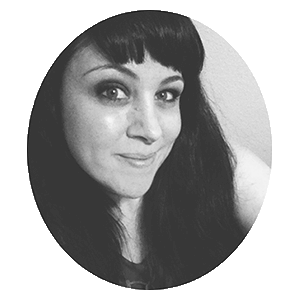 I’ve recently started offering ads on my own website, to see for myself (and for my readers!) which camp I will fall into. (But I’m hoping to love it!) — UPDATE: I’ve had ads on my site for several months now and I love it! I make extra, passive income every month without having to do anything! New and established bloggers might want to try Media.net. There are several companies that you can work with, but most need you to have traffic in the tens of thousands, of not hundreds of thousands each month. If a blogger doesn’t yet have those types of numbers, they can try using Adsense. But with little traffic to your blog, you may find it’s not worth it (yet) to have ads on your site. Some people argue that having ads is a distraction, and may lead people away from your blog. But every blogger has to decide for themselves if they want to make money with ads. A fashion blogger might offer a wardrobe styling service. A food blogger might write their own cookbook. A DIY blogger might sell a monthly subscription for DIY projects. A lifestyle blogger might offer photo styling services. A mom blogger might write a course on a certain style of parenting. An art blogger might create a pop-up gallery. A business blogger might come up with a course on How to Sell on Instagram. So a “product” might be something like a physical book (like the cookbook example) or something digital, like an ebook, online course, membership site, app, SAS (software as a service), etc. And a service would be something styling services, graphic design, social media marketing, website design, etc. So how much can YOU expect to make from blogging? I’m going to get real here: you really shouldn’t expect to make much! Especially in the beginning. The great thing about blogging (especially vs. a “traditional” business like a restaurant or clothing boutique) your upfront costs are so minimal! Frugal bloggers who do it themselves can get their websites up and running for under $100. Maybe up to $500 if you want more bells and whistles. 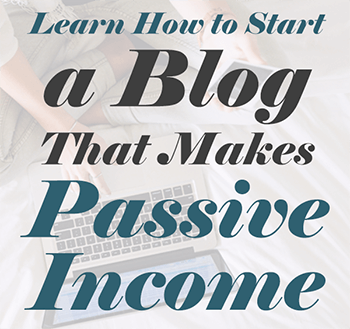 And while some bloggers will struggle to ever make any money, and there are no guarantees, it is possible to make an extra few hundred dollars a month, or, like Michelle Schroeder-Gardener, the author of Making Sense of Affiliate Marketing, who makes over $100,000 per month! So, now that you know the answer to “How do bloggers make money?” Do you want to start blogging about your own hobby or passion? If so, I’d love to hear about it in the comments below! Very informative post, Jules. I have been following your blog for awhile and I really like your topics. I am contemplating on putting ads on my blog later to increase my blog income, but at the moment I am just focusing on my products & services. I am an artist (illustrator & sculptor and also a crafter, and I have no idea how to earn from a pop-up gallery through the blog? How does it work? The way you mentioned sponsored post and affiliate is the most important key for any blogger and hope after reading this post people will learn something. I’m at the beginning of the way to create my own site. Thanks for good guide. As a newcomer, I found out some really useful information. It was interesting to read about affiliate marketing. Thanks for sharing your knowledge and experience.